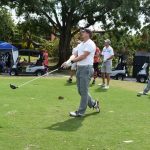 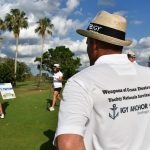 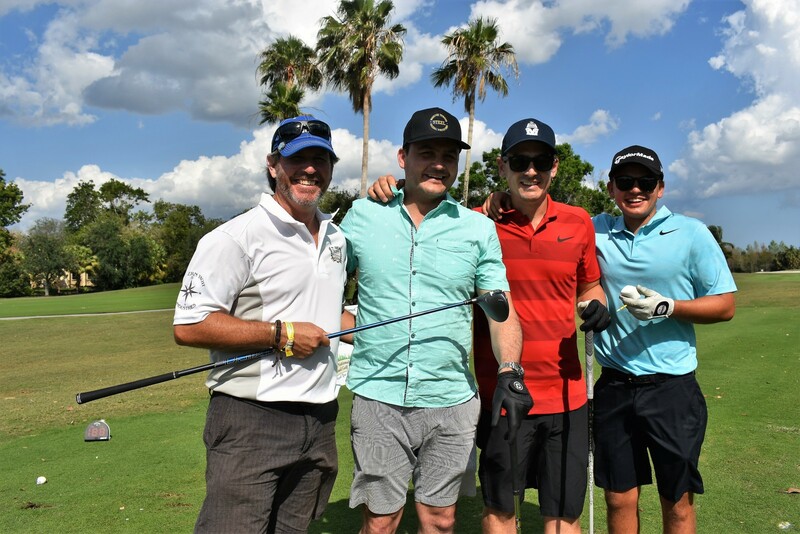 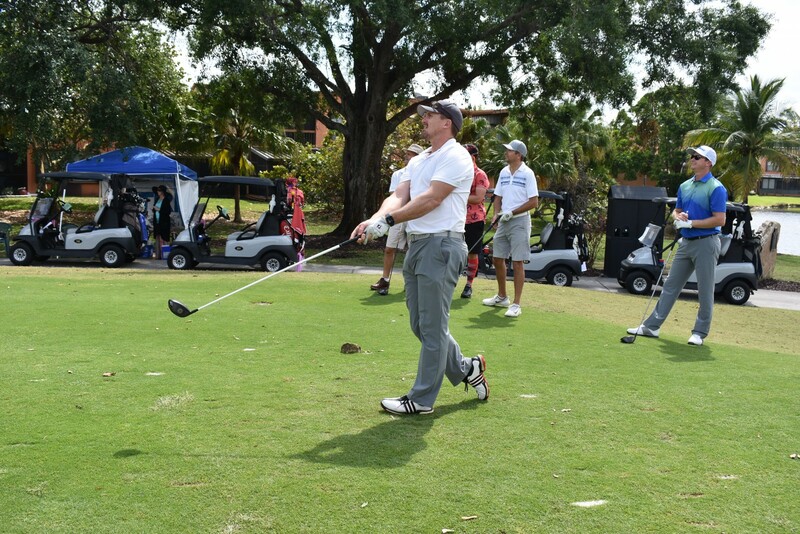 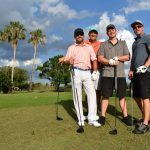 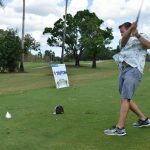 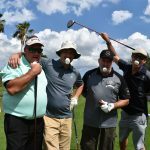 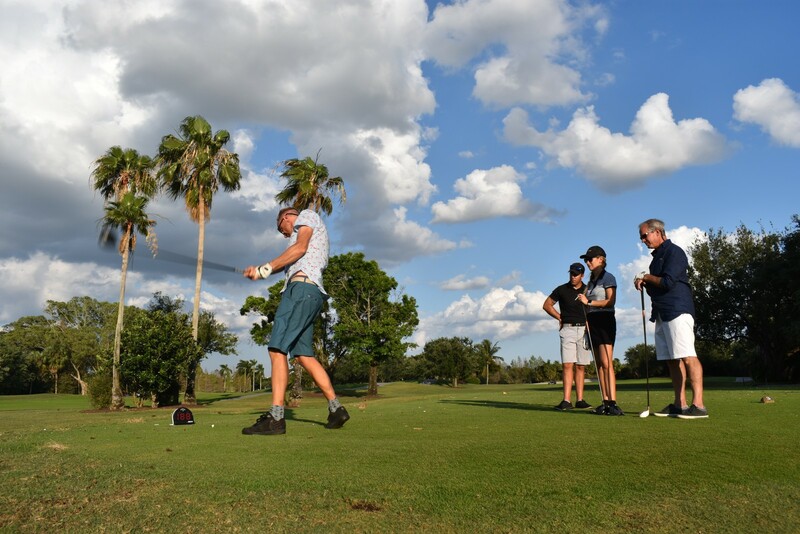 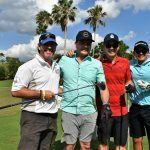 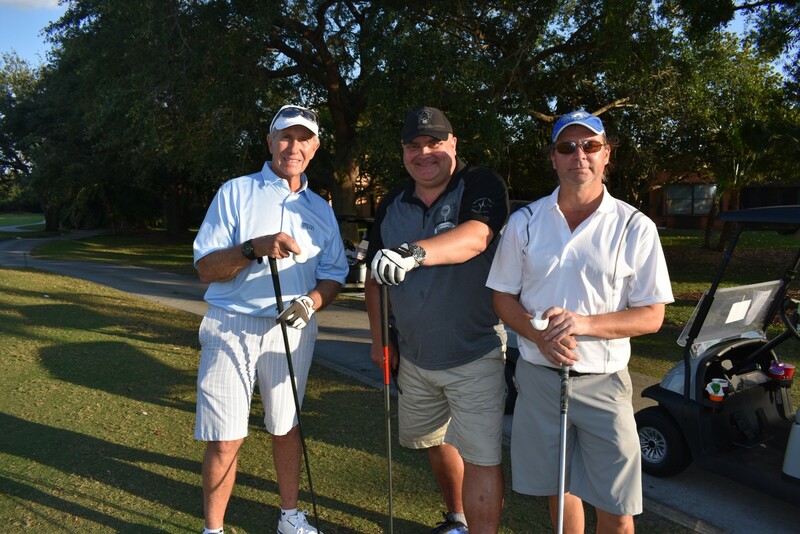 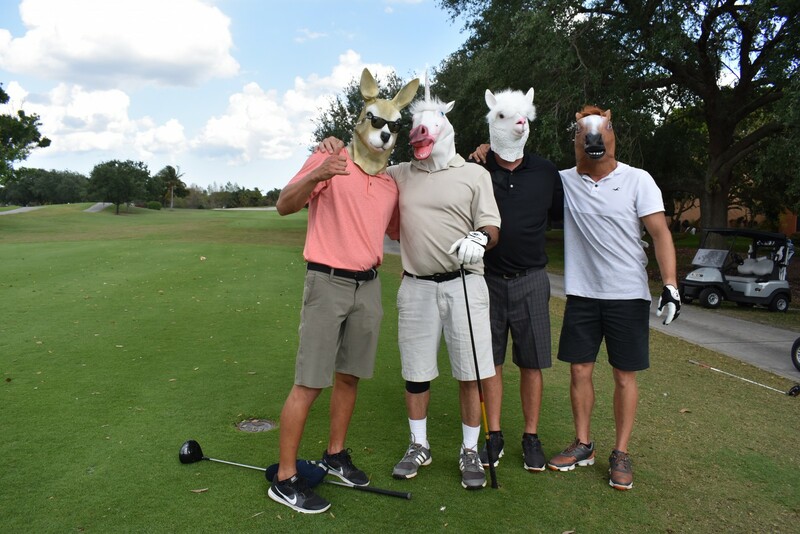 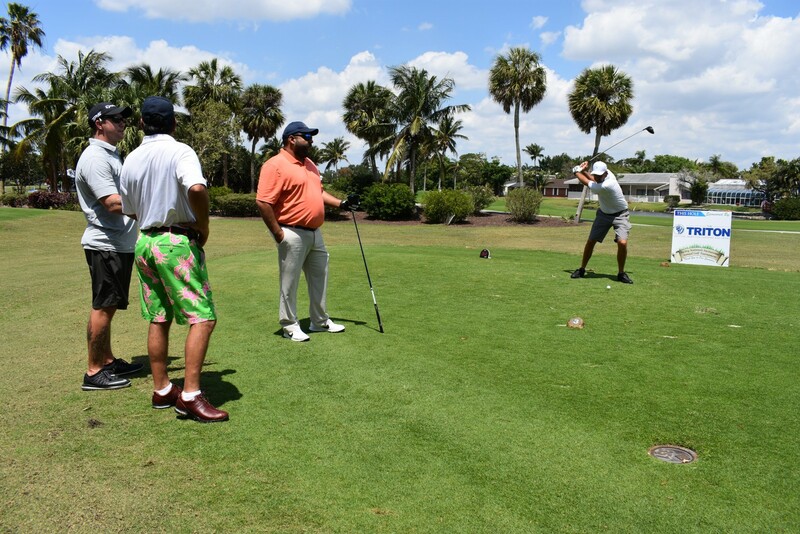 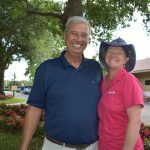 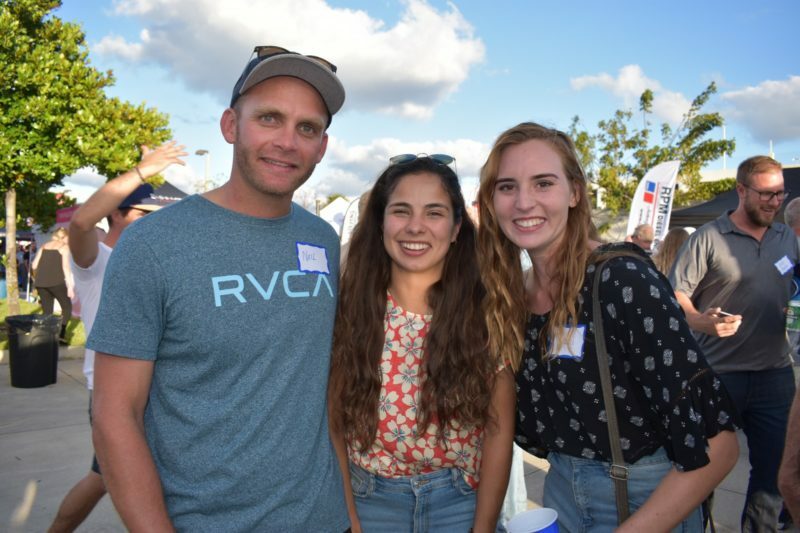 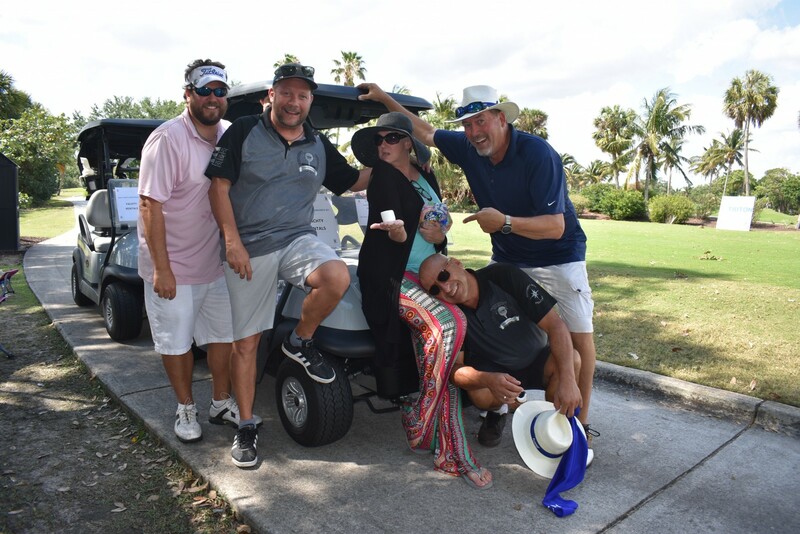 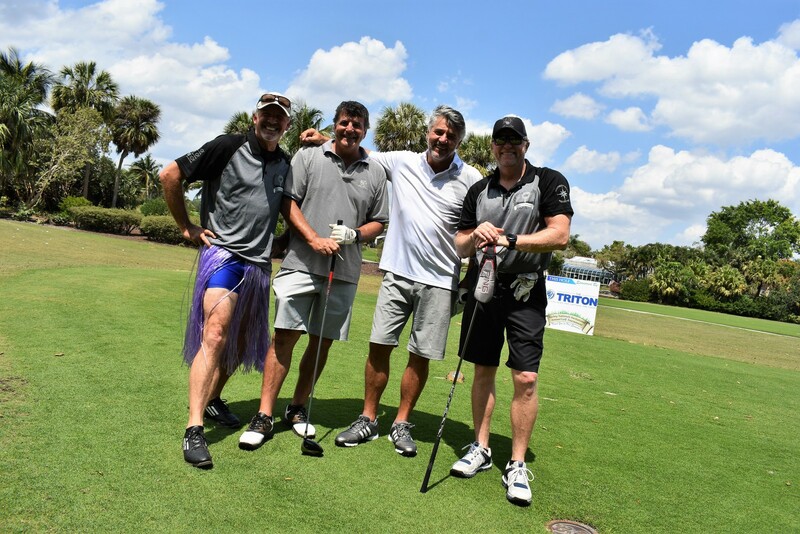 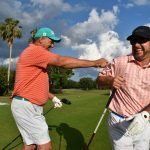 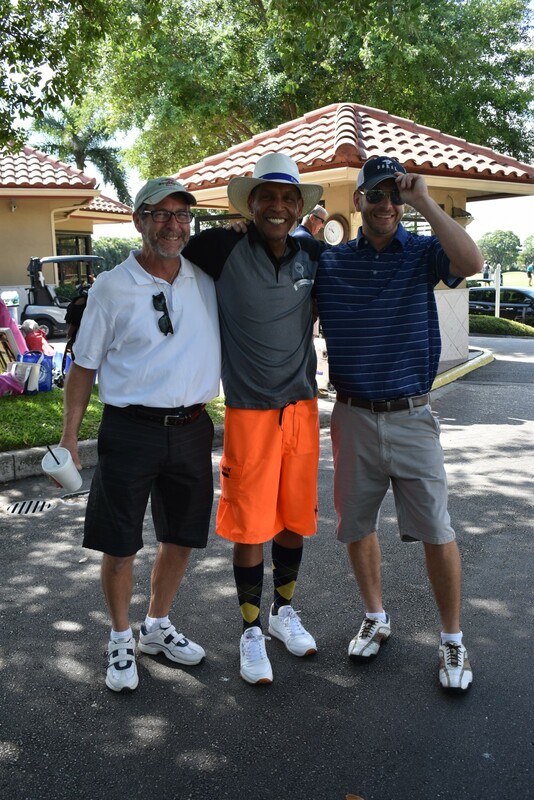 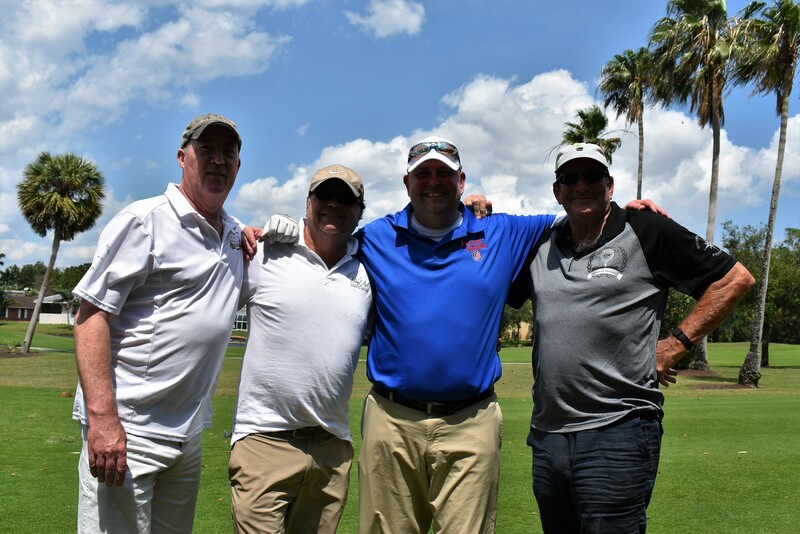 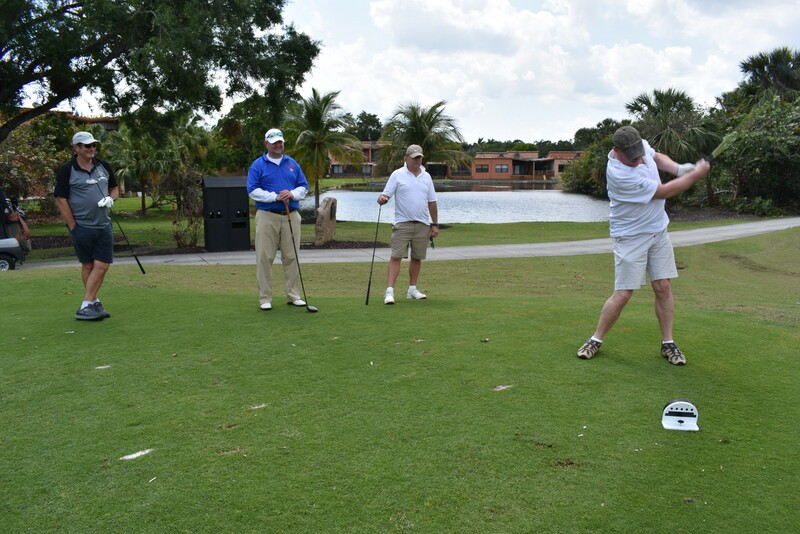 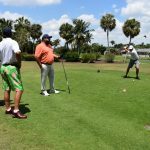 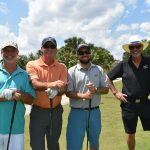 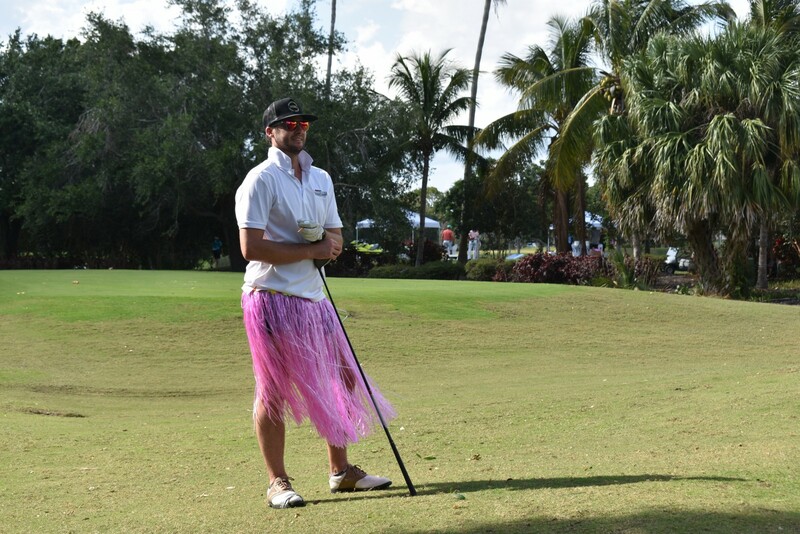 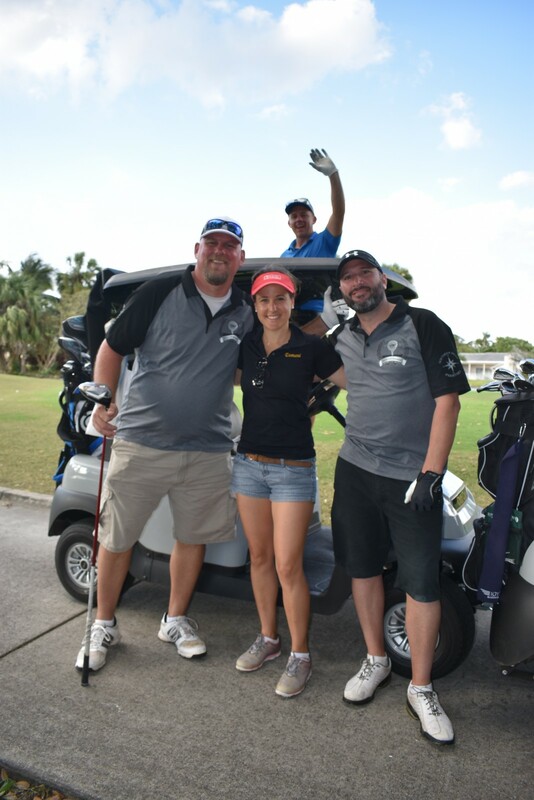 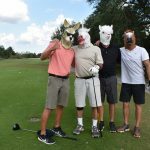 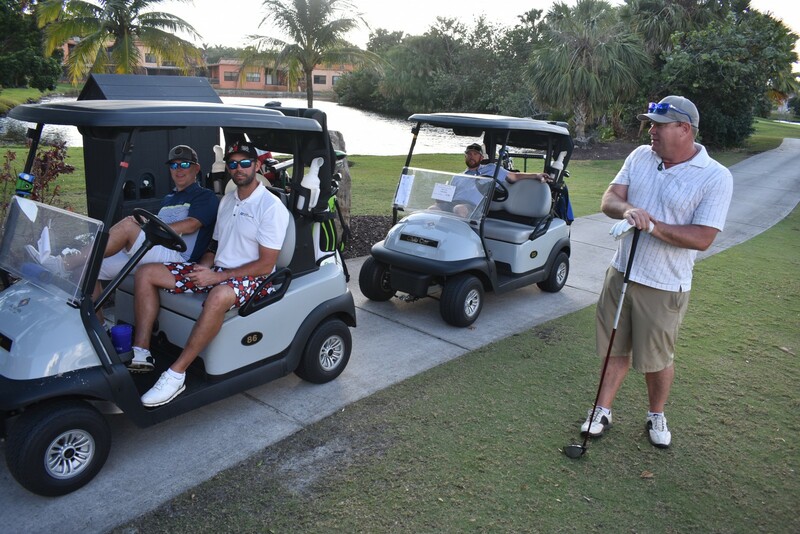 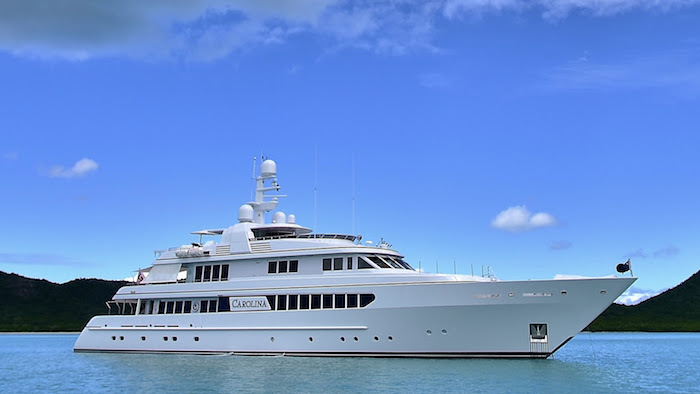 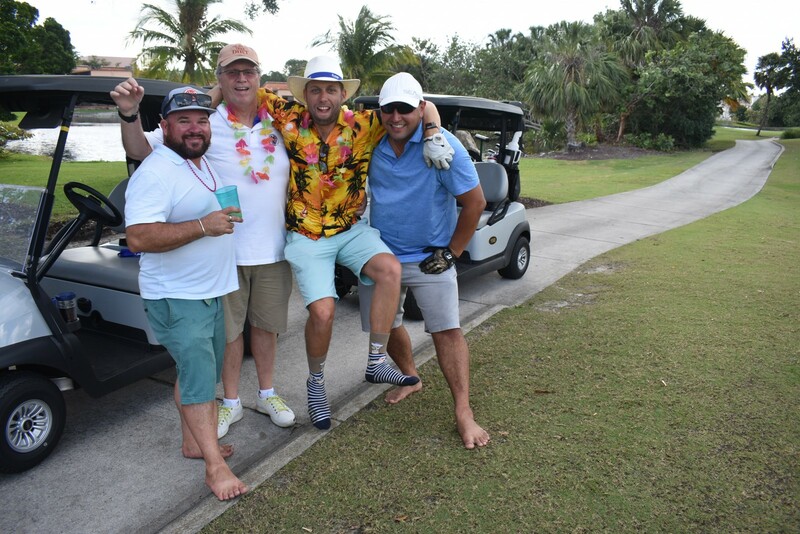 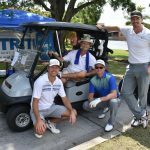 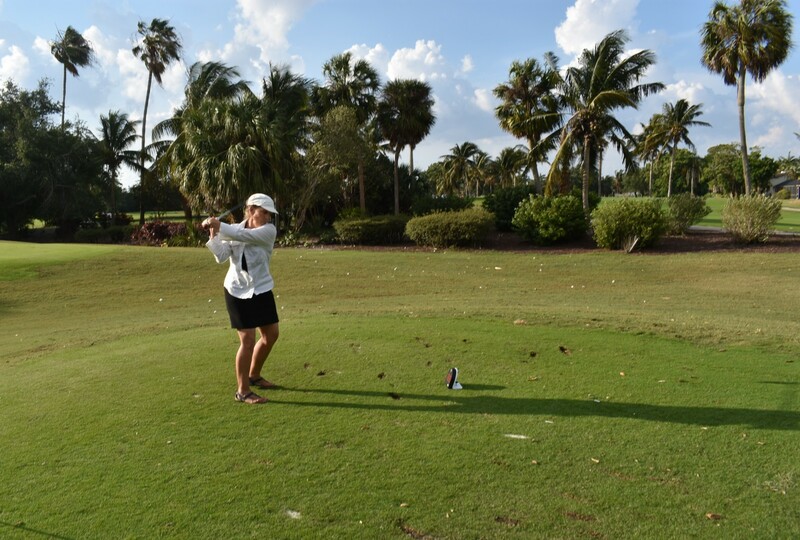 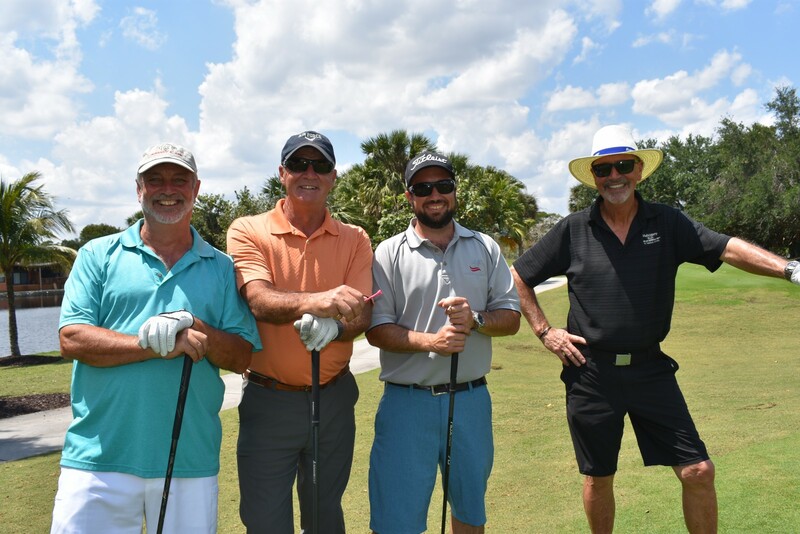 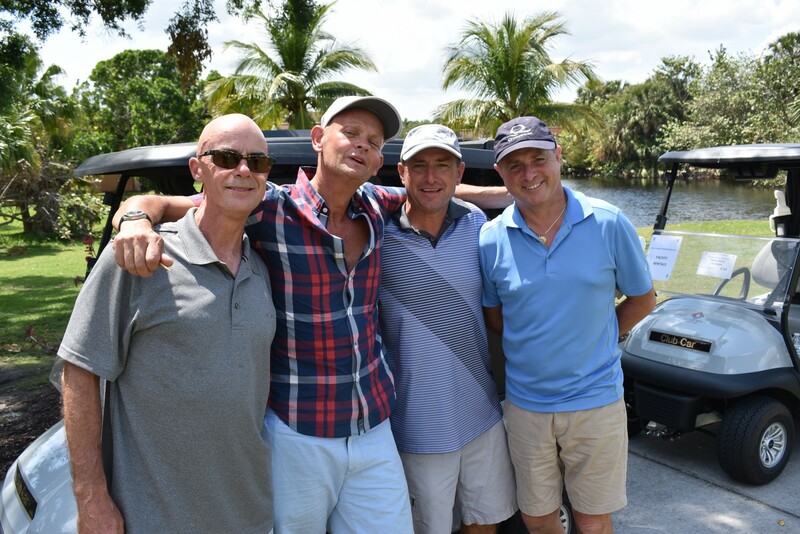 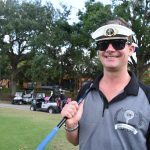 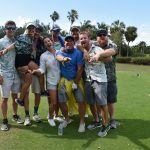 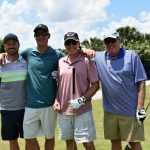 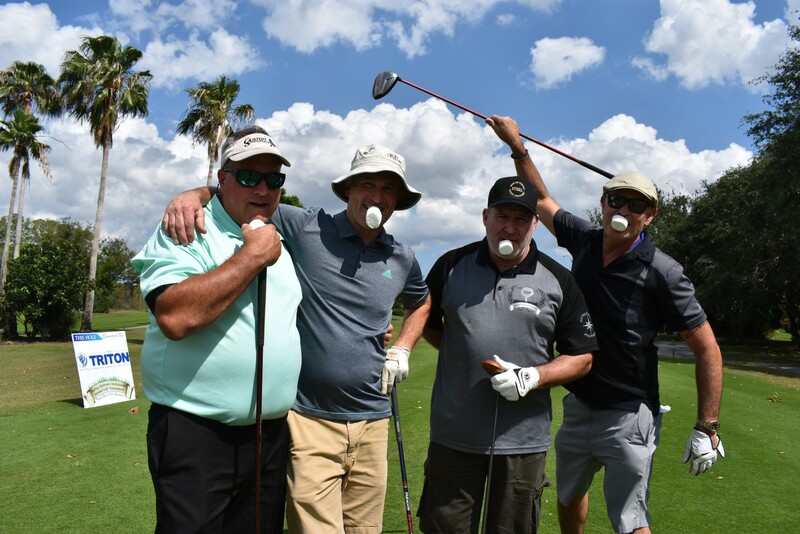 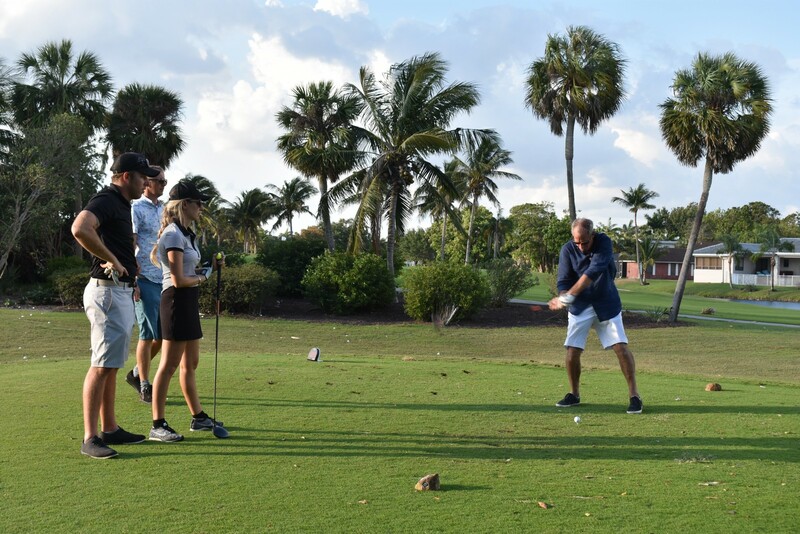 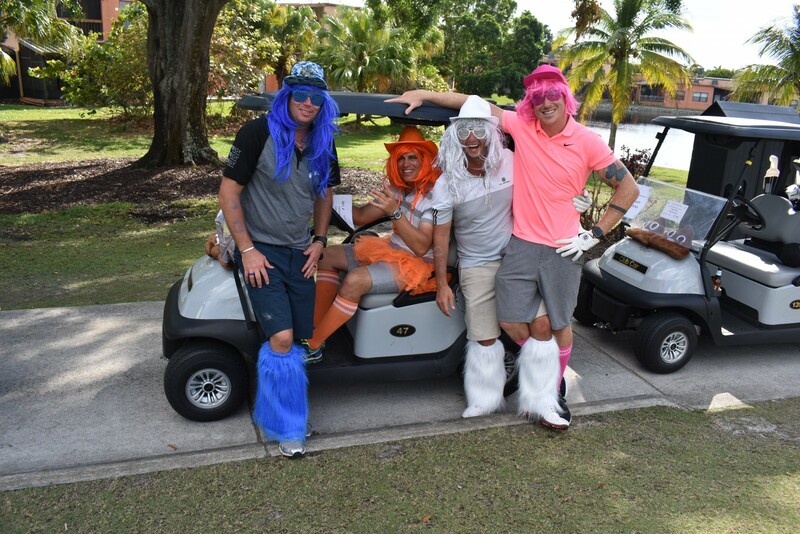 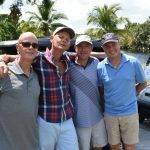 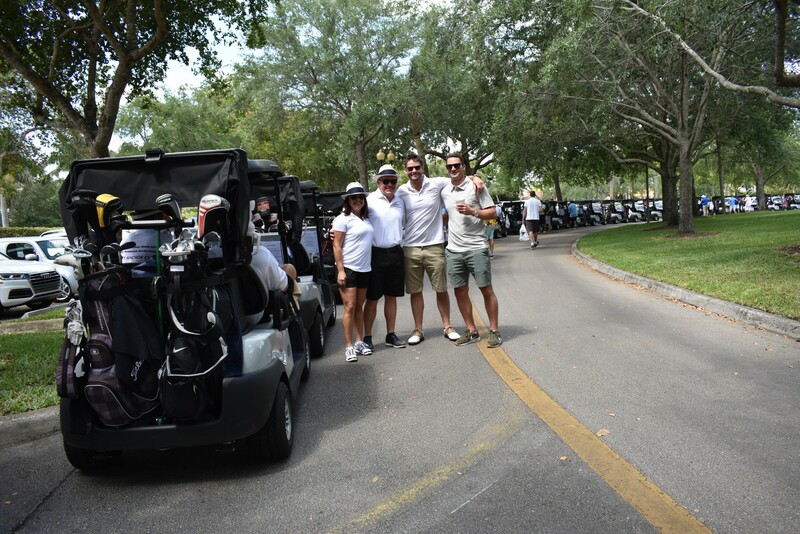 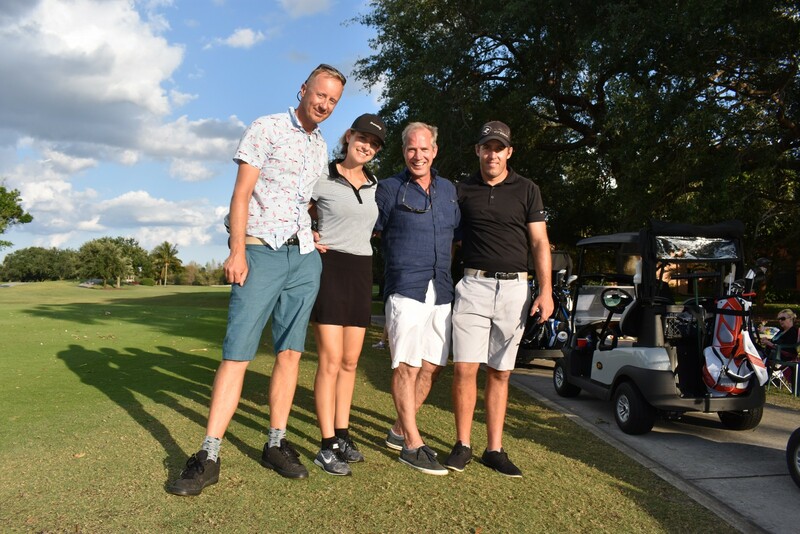 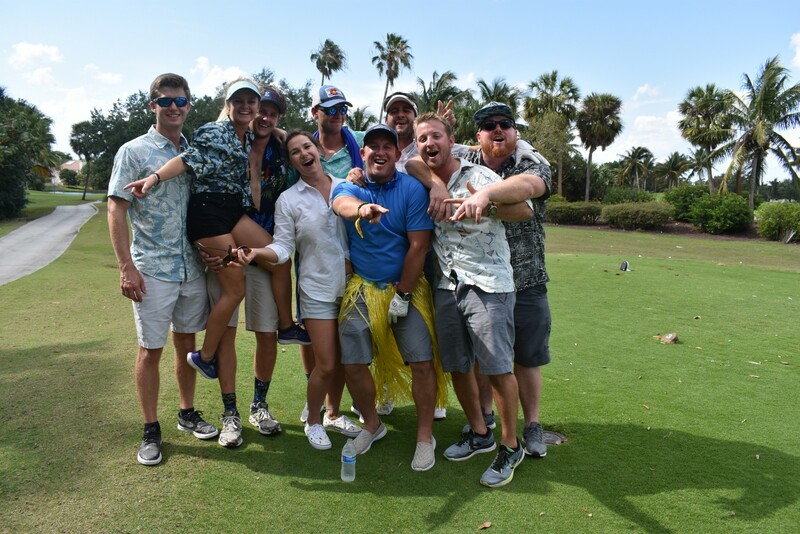 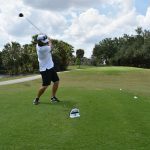 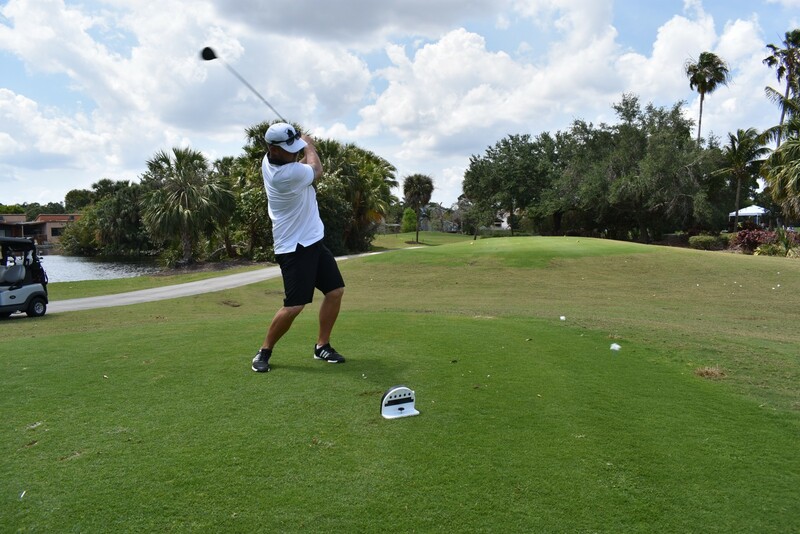 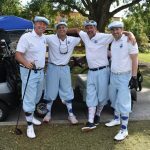 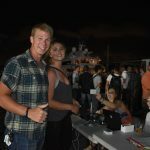 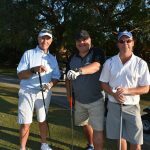 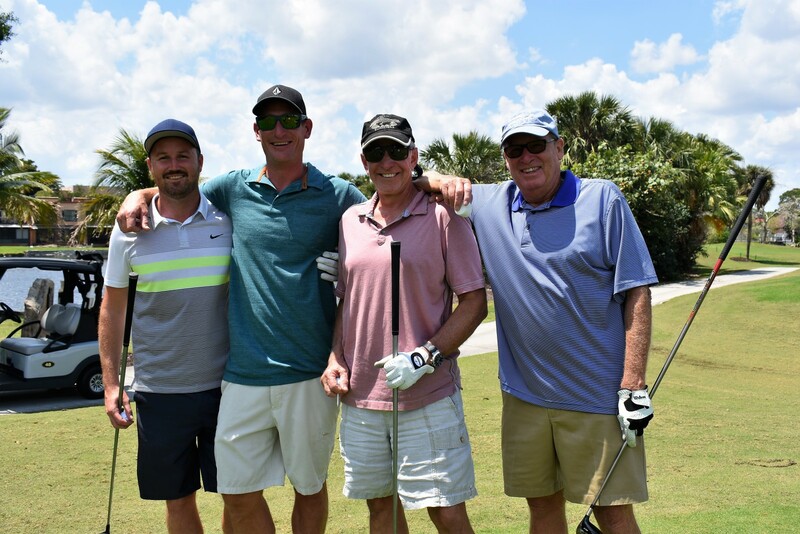 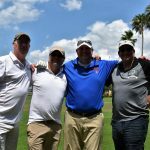 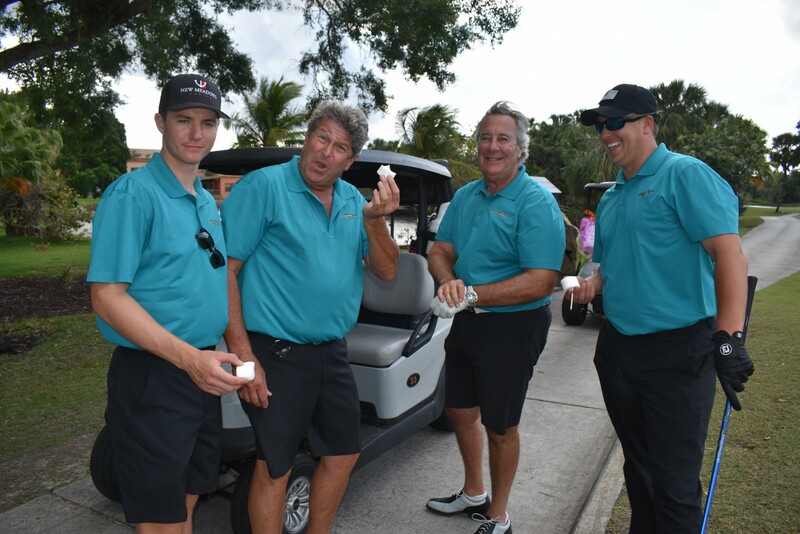 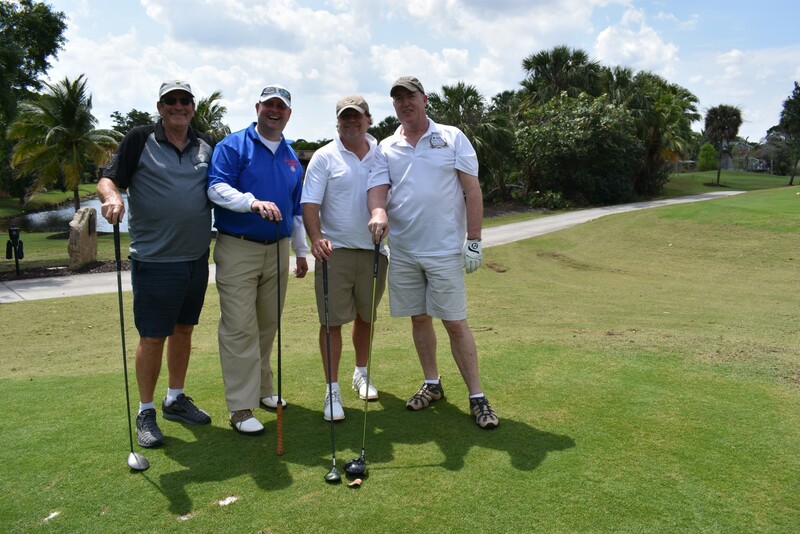 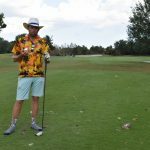 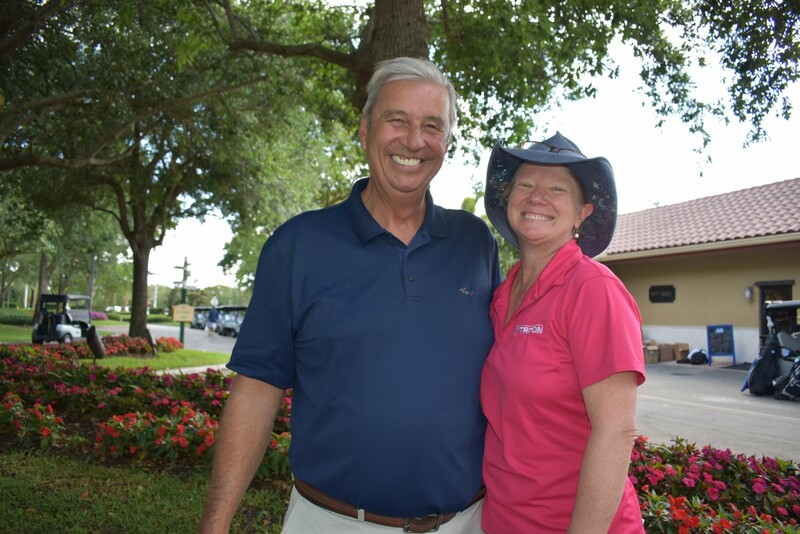 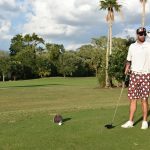 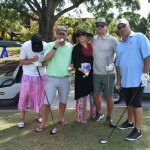 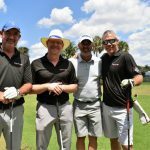 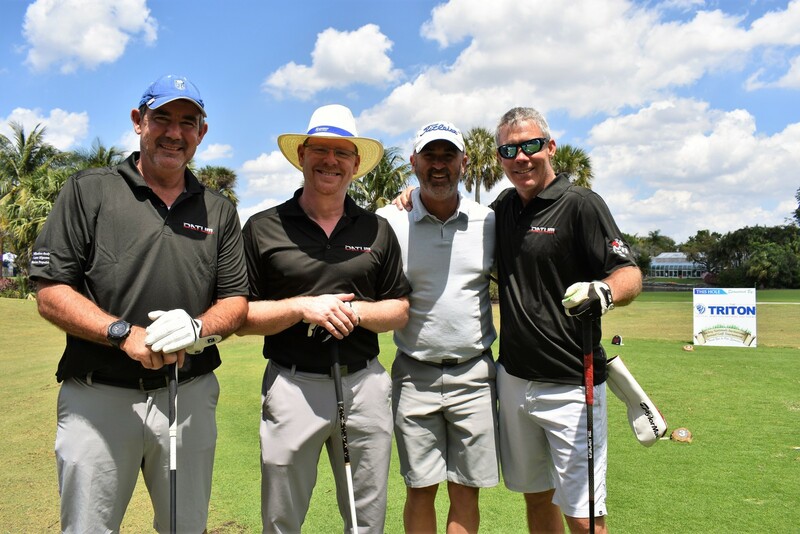 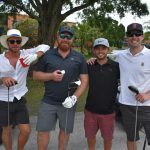 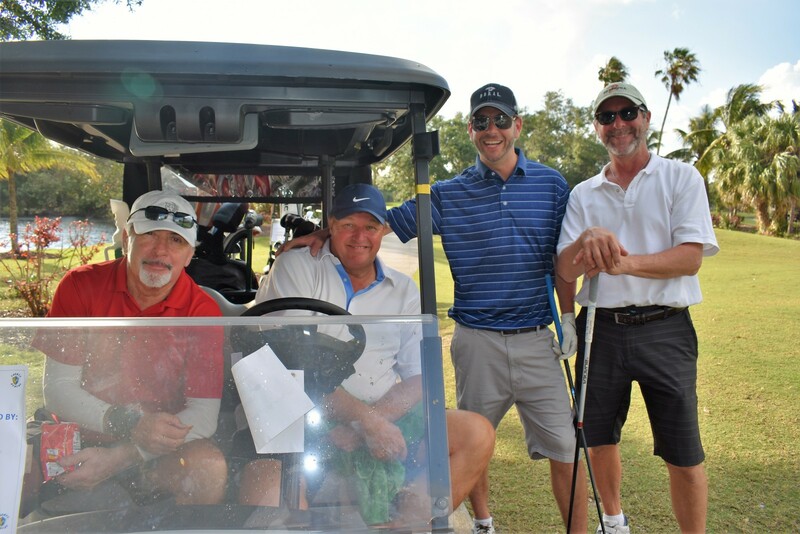 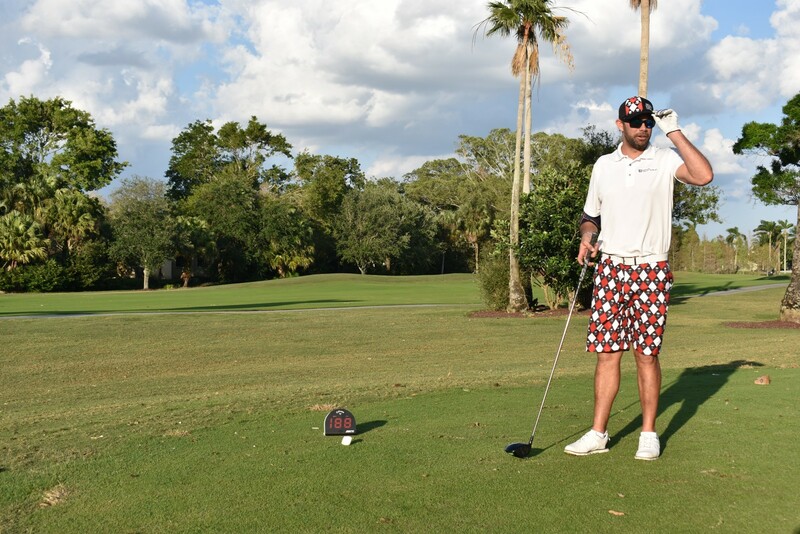 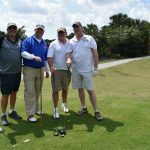 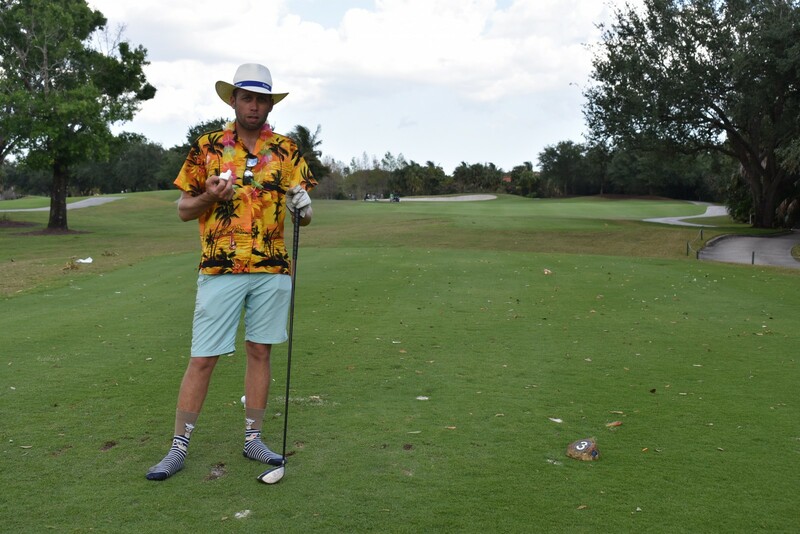 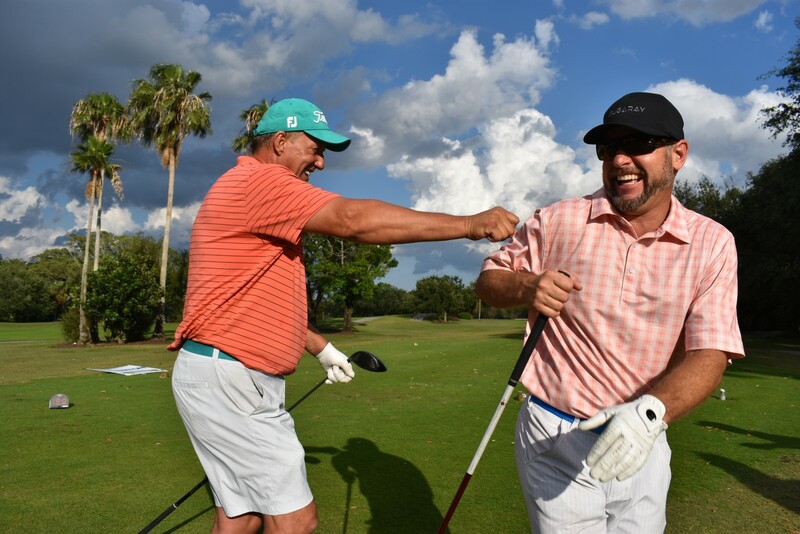 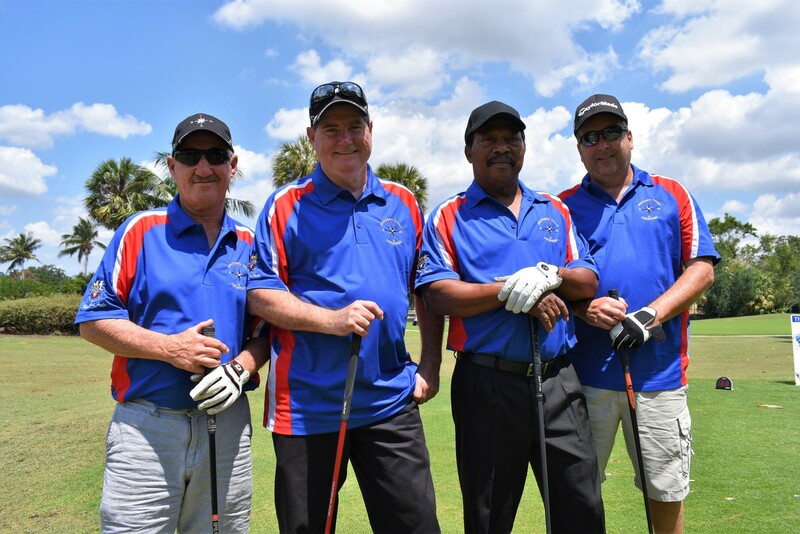 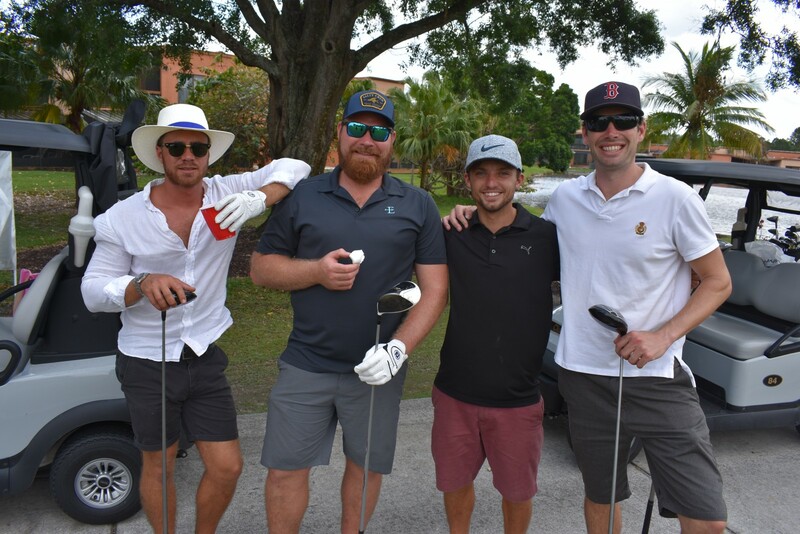 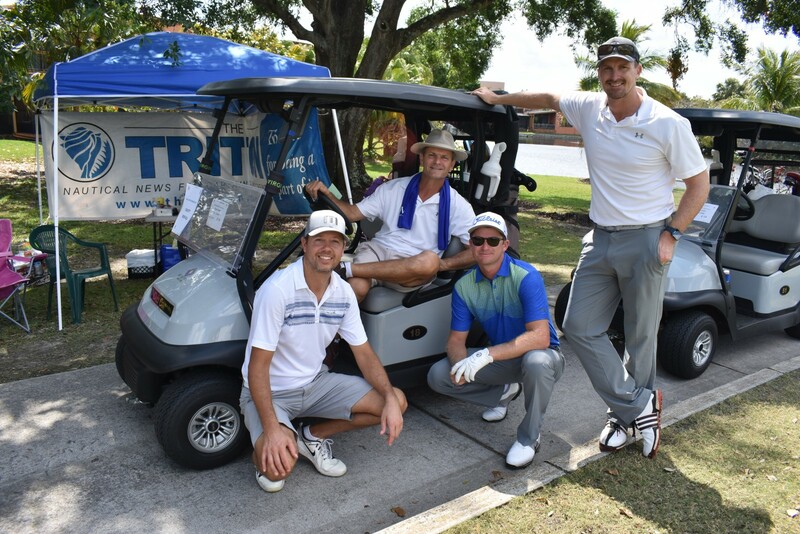 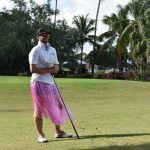 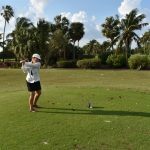 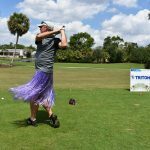 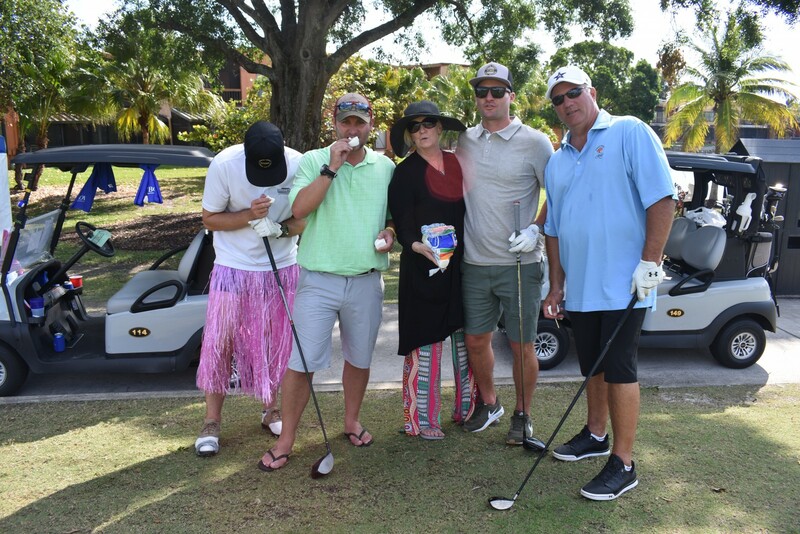 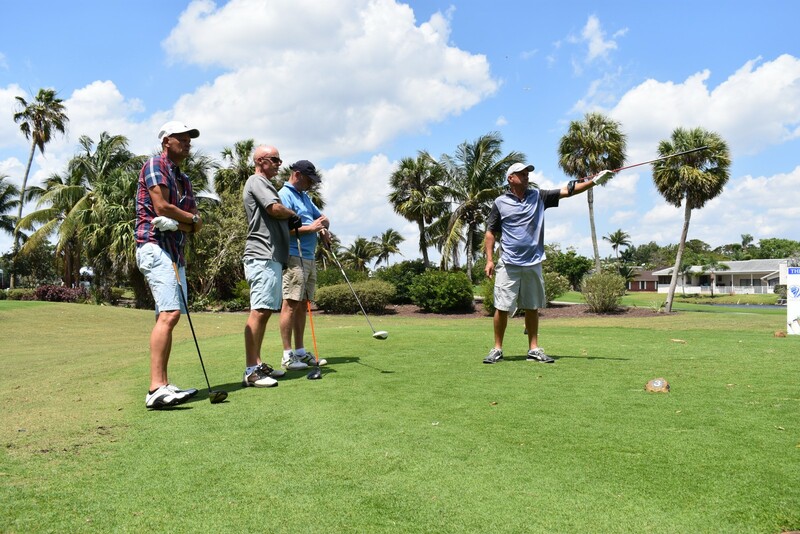 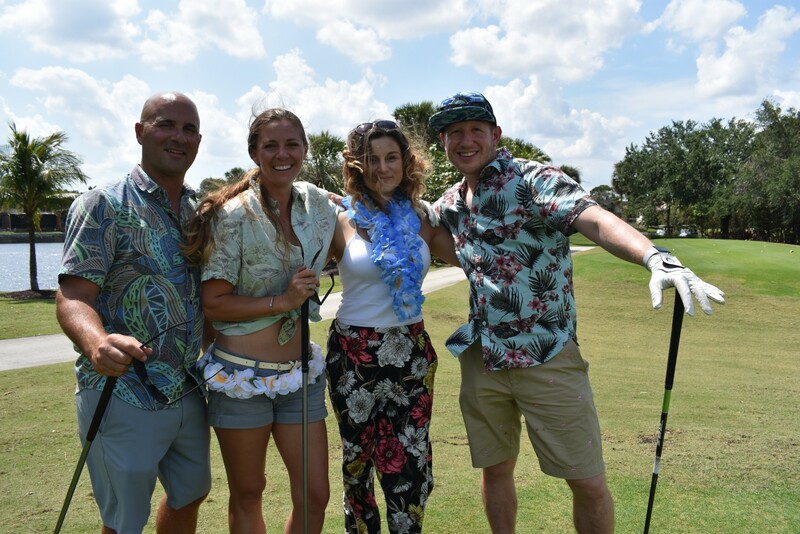 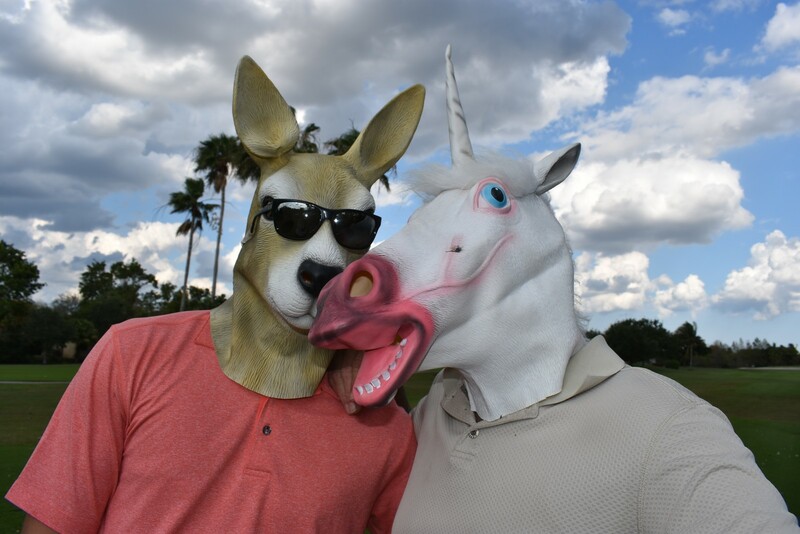 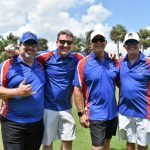 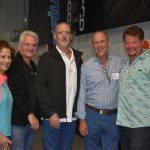 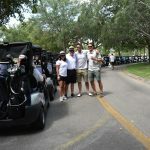 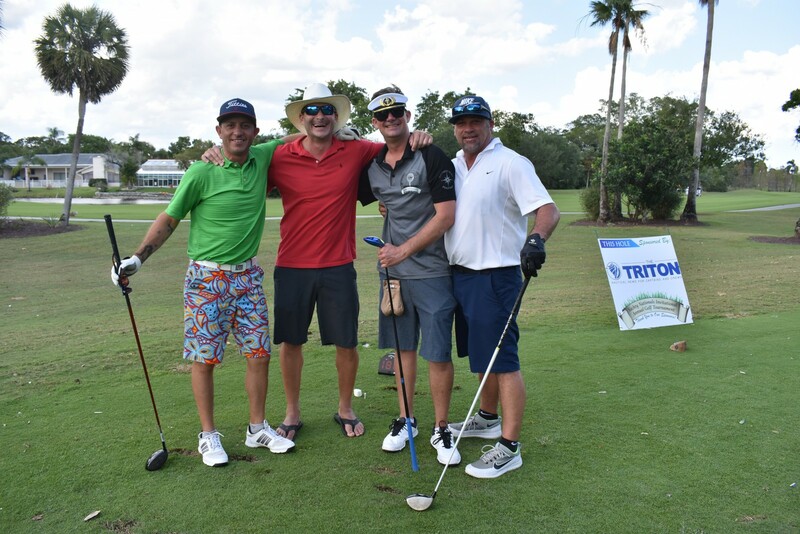 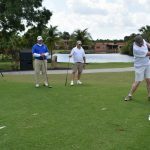 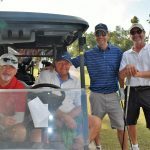 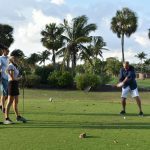 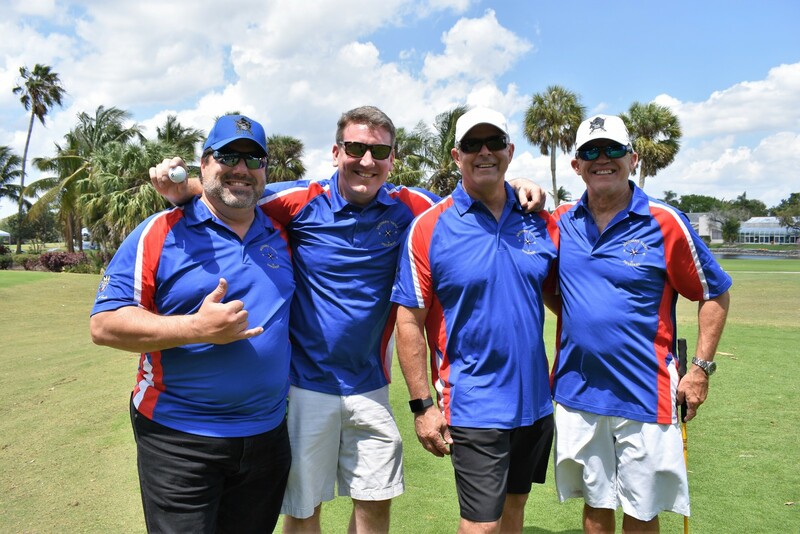 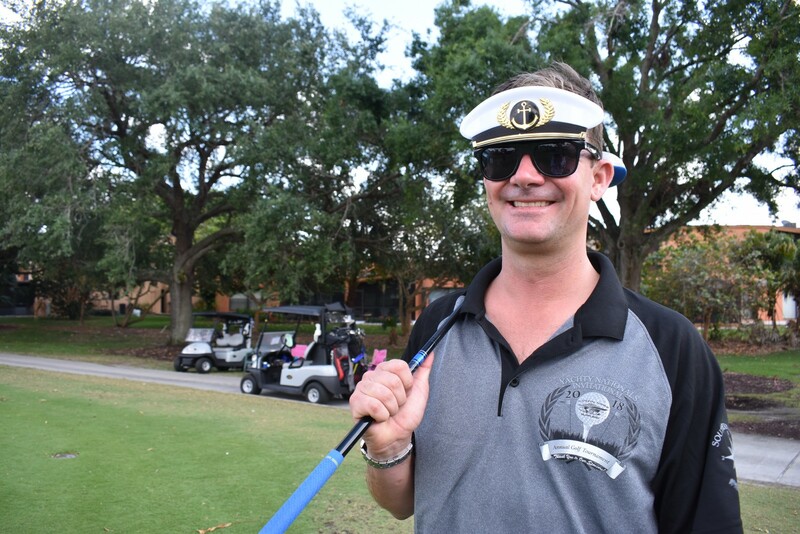 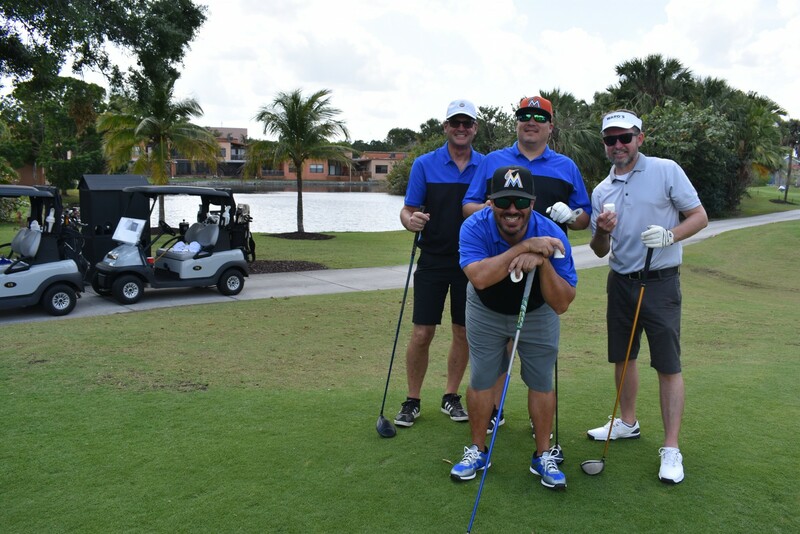 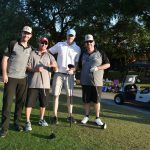 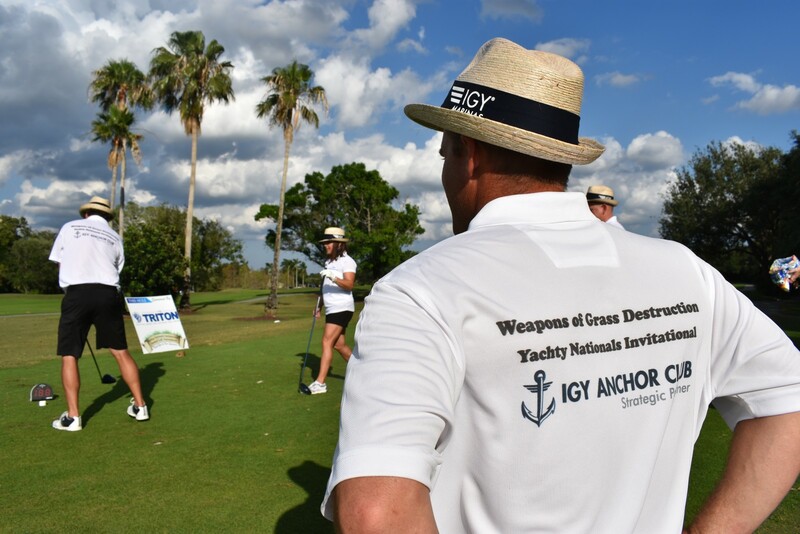 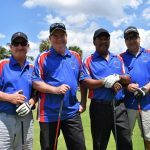 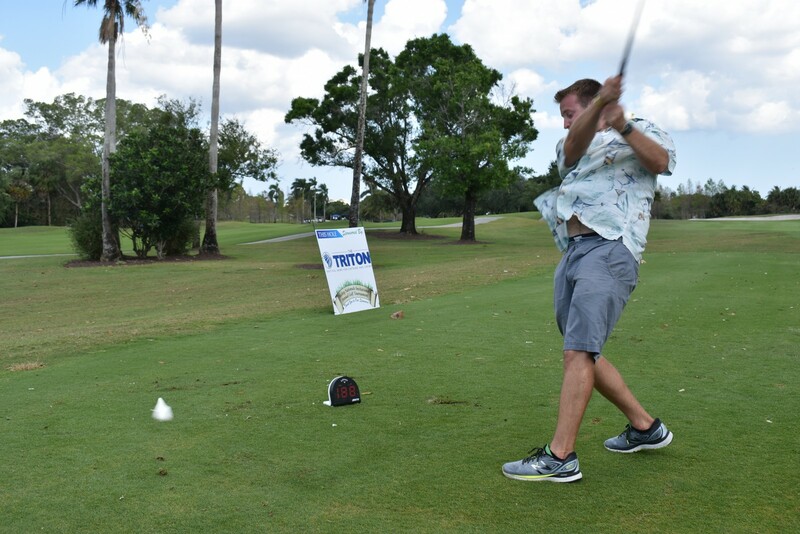 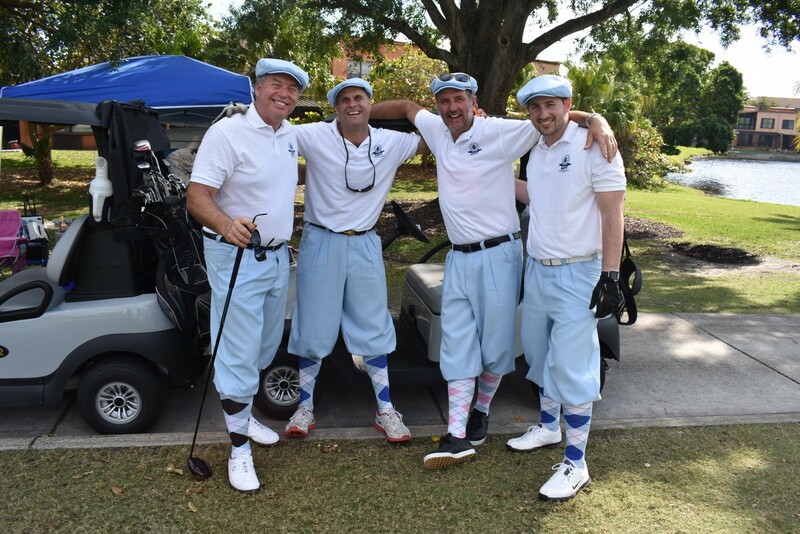 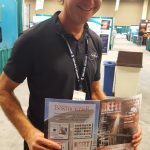 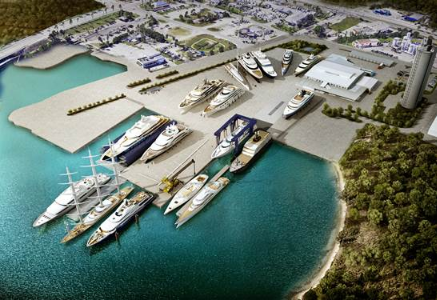 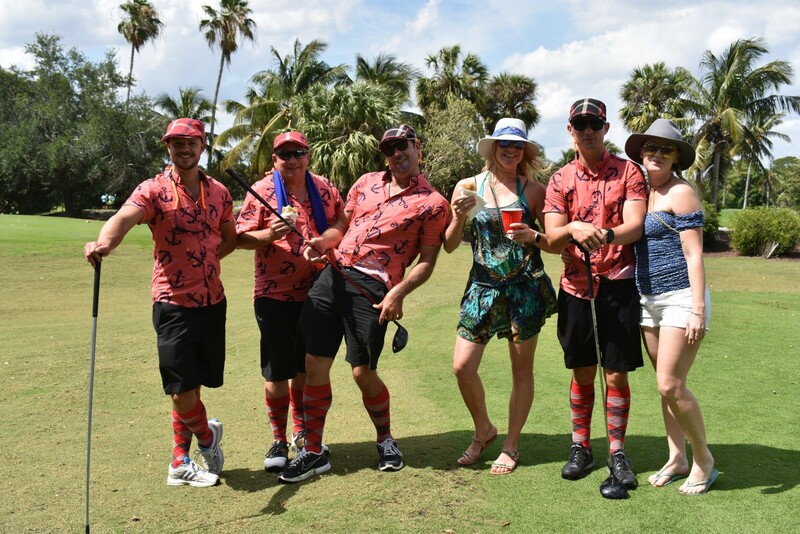 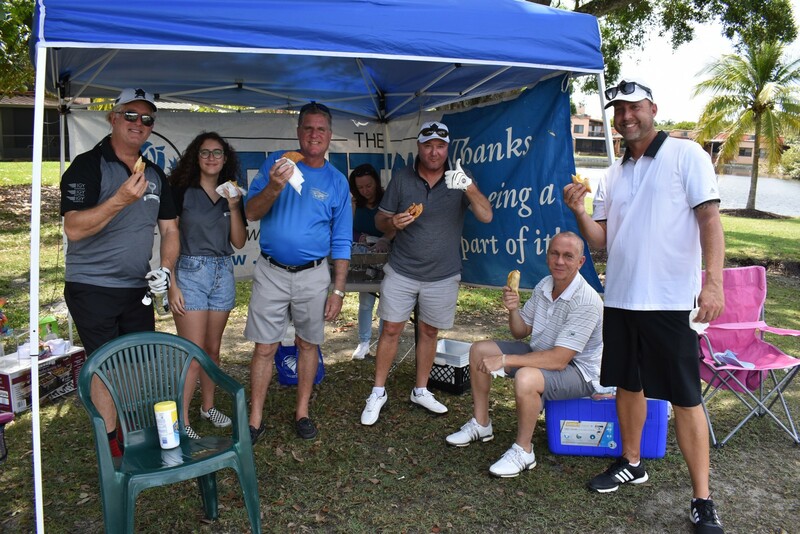 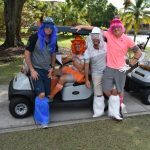 About 150 yacht captains, crew and industry people gathered on the links on for National Marine Suppliers’ annual Yachty Nationals Invitational golf tournament on April 7. 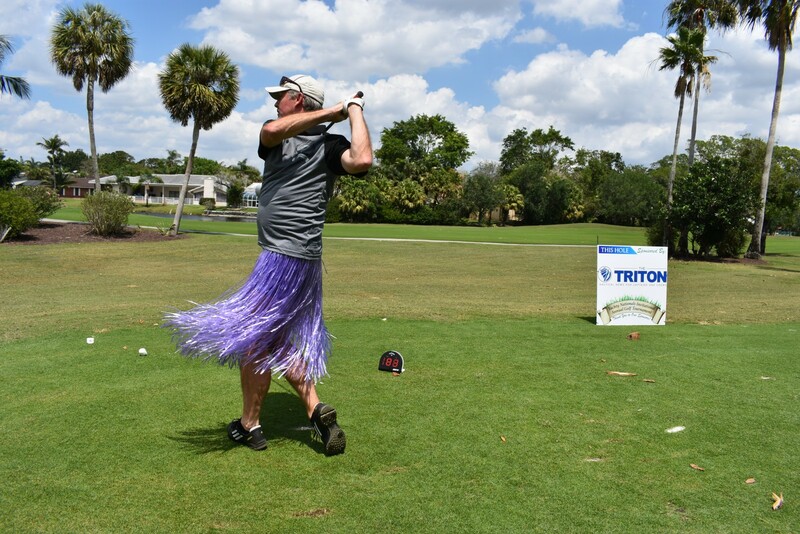 Each hole offered a different challenge and chances to win prizes, including The Triton’s Fastest Swing competition using jumbo marshmallows. 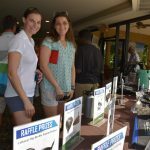 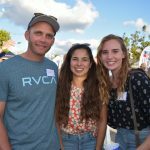 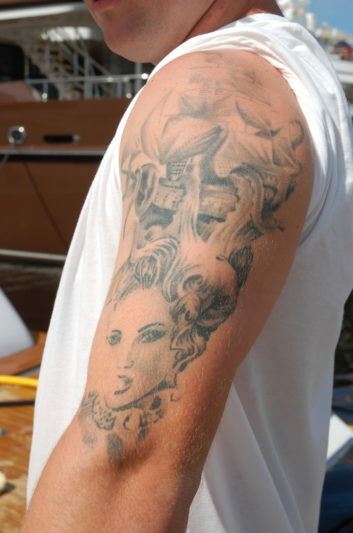 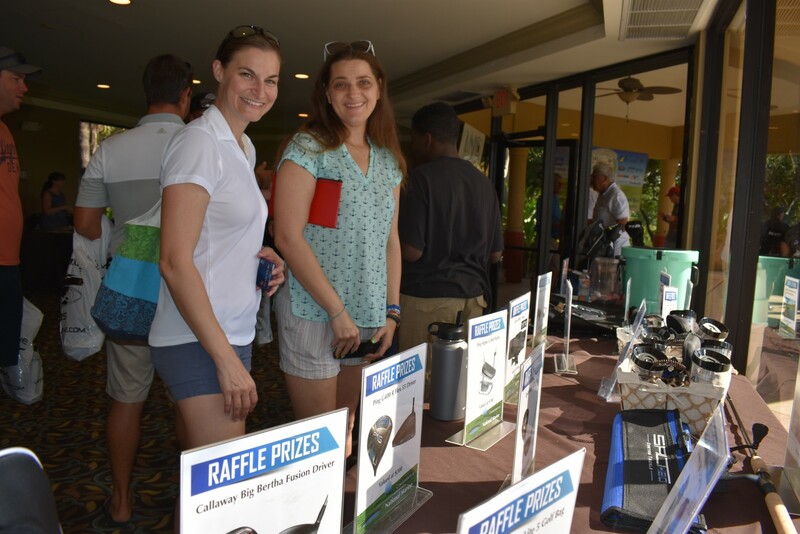 A raffle at Hole 19 raised more than $5,400 for the Marine Industry Cares Foundation. 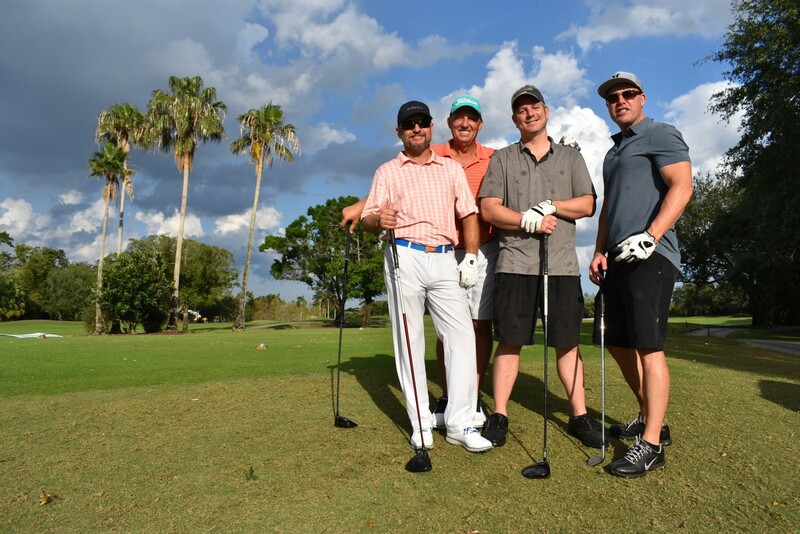 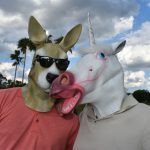 Photos by Dorie Cox. 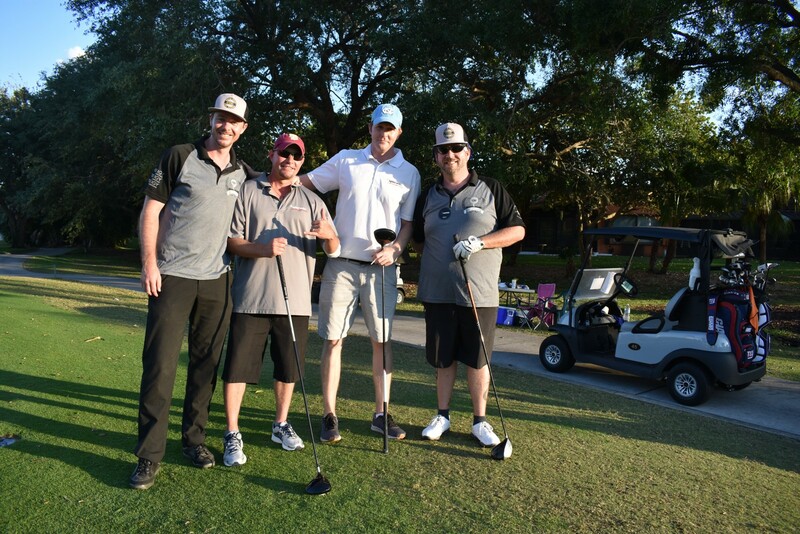 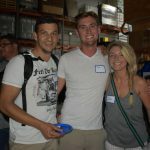 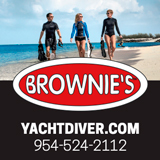 Click to see these photos on Facebook.